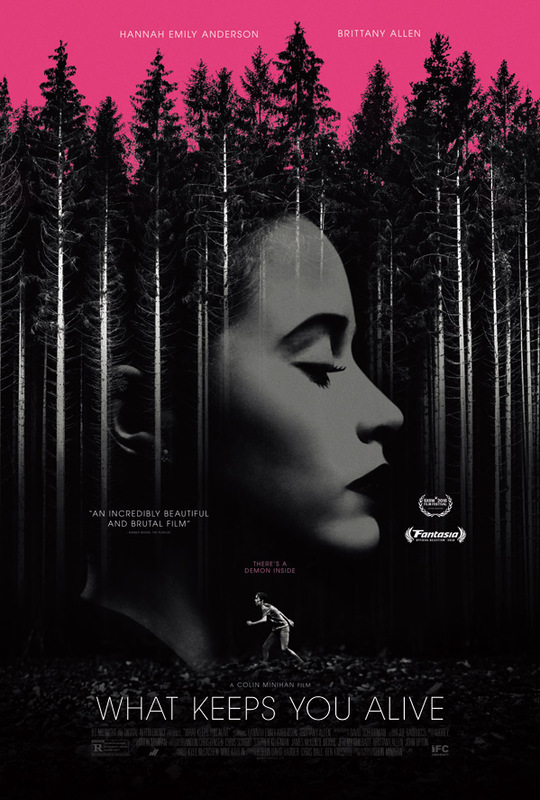 "I'm done playing around… I know these woods…" IFC Films has released the official trailer for an indie horror thriller titled What Keeps You Alive, which premiered at both the SXSW and Fantasia festivals this year. The film is about a female married couple who head to a cabin in the mountains near a lake to celebrate their one-year anniversary. From the moment they arrive, something changes in Jules' normally loving wife, as Jackie (if that even is her real name?) begins to reveal a previously unknown dark side. Ooh. Hannah Emily Anderson and Brittany Allen star, along with Martha MacIsaac and Joey Klein. "Defying expectations at every turn," the film is described as "a nerve-twisting cat and mouse thriller built around a shattering tale of heartbreak and betrayal." This looks totally nuts and thrilling as all hell. Enjoy. How much can you really know about another person? The unsettling truth that even those closest to us can harbor hidden dimensions drives this thrillingly unpredictable, blood-stained fear trip. Jackie (Hannah Emily Anderson) and Jules (Brittany Allen) are a couple celebrating their one year anniversary at a secluded cabin in the woods belonging to Jackie’s family. From the moment they arrive, something changes in Jules’ normally loving wife, as Jackie (if that even is her real name?) begins to reveal a previously unknown dark side—all building up to a shocking revelation that will pit Jules against the woman she loves most in a terrifying fight to survive. What Keeps You Alive is both written and directed by Canadian filmmaker Colin Minihan, director of the films Grave Encounters (as "The Vicious Brothers"), Extraterrestrial, and It Stains the Sands Red previously. This premiered at the SXSW Film Festival earlier this year. IFC will debut What Keeps You Alive in select theaters + on VOD starting August 24th. Curious?